HER MOMENT. Acrylic and marker on canvas. 11x14in. $308. 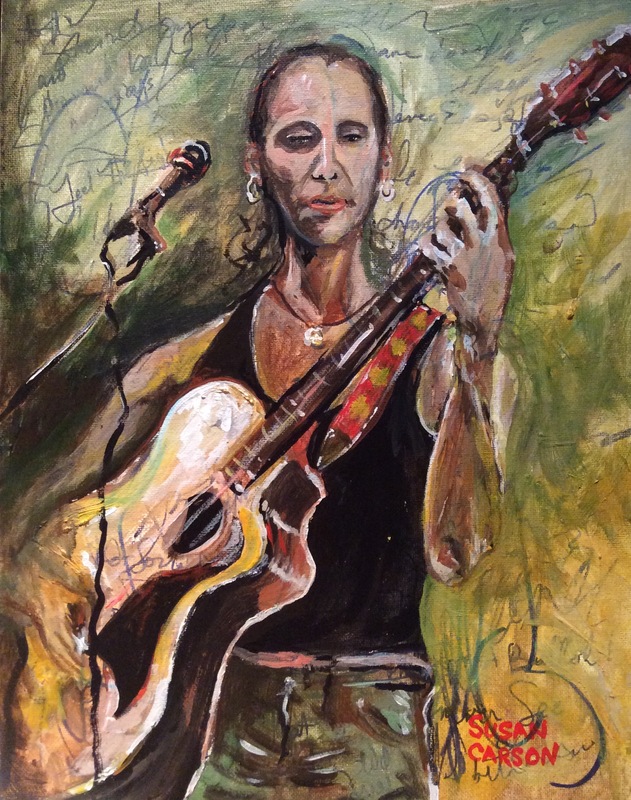 This one was inspired by a moment at a live performance in Connecticut by a great songwriter, Laura DeLallo. Another one where I use a marker to give a sense of the writing of lyrics and thoughts in the head in the underpainting.